Tunisia, officially the Tunisian Republic (الجمهورية التونسية‎ al-Jumhūriyya at-Tūnisiyya), is the northernmost country in Africa. It is an Arab country and is bordered by Algeria to the west, Libya to the southeast, and the Mediterranean Sea to the north and east. Its area is almost 165,000 km², with an estimated population of just over 10.3 million. 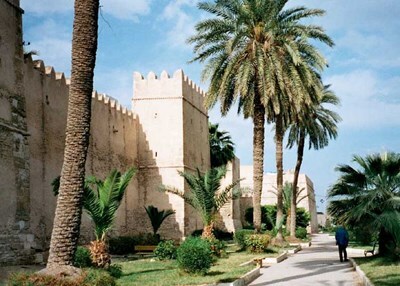 Its name is derived from the capital Tunis located in the north-east. This description uses material from the Wikipedia article on Tunisia and is licensed under the Creative Commons Attribution-ShareAlike License (view authors). 21 people want to do this. 6 people have done this.